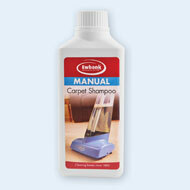 Cordless Lightweight Carpet Shampooer from Collections Etc. Clean, refresh, and remove stubborn carpet stains with this easy-to-use, non-electric shampooer. Simply fill with water and add the FREE 17 oz. carpet shampoo (#40237). The handle features a trigger to spray the foam on the two brushes for a deep clean, while an absorbent pad soaks up extra moisture. Requires no electricity or batteries. Super lightweight for stairs. A telescopic handle retracts for easy storage. Plastic. 9½"W x 31½"H.
Good for spot cleaning. - No nickname, Dixon, Il. Great for small apt.  with area rugs - GG, Reading Ma. handy item, would buy again! 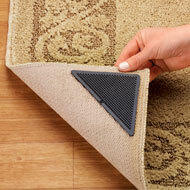 Easy to use, simply peel and stick the self-adhesive corners and place on the back of your rug. Made of thermoplastic rubber, grippers can be rinsed clean with water and reused many times. 6"L x 3"W.